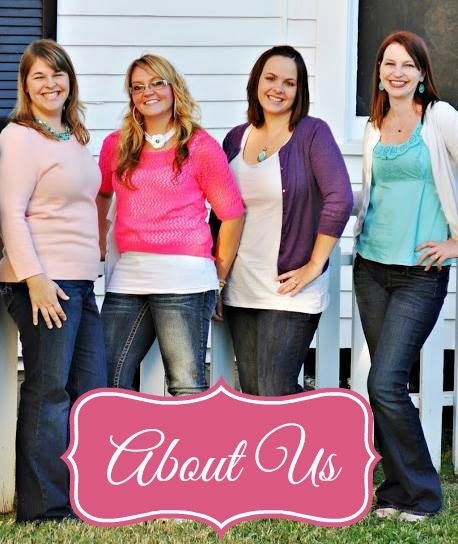 Hi, y'all! It's been way too long! We've been enjoying all that is summer, and keeping busy with our trio. I love all of the summer get together's, parties, and any excuse for fun. Speaking of parties, my niece recently celebrated her 2nd birthday. I knew I wanted to make something handmade that she would love (and mom would love too, since she's super organized!!). 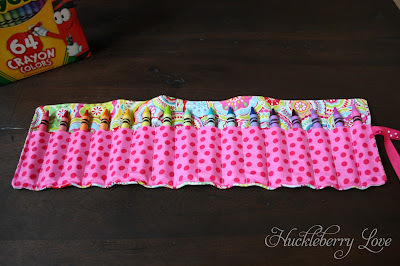 So I found inspiration from a gift that Lydia made for my daughter Ella's 2nd birthday, a crayon roll! Ella absolutely loves hers and it has become a car-trip staple in our family. Who wouldn't love one of these to take around? 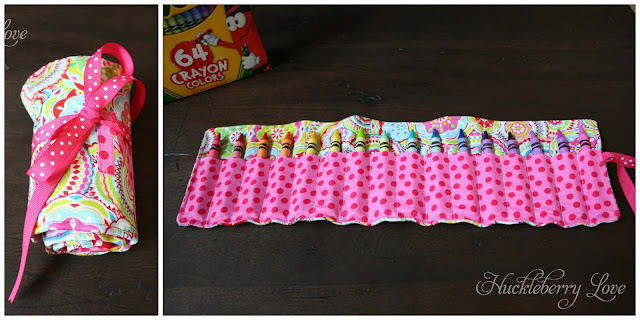 They roll up so nicely with a little pocket for each crayon. 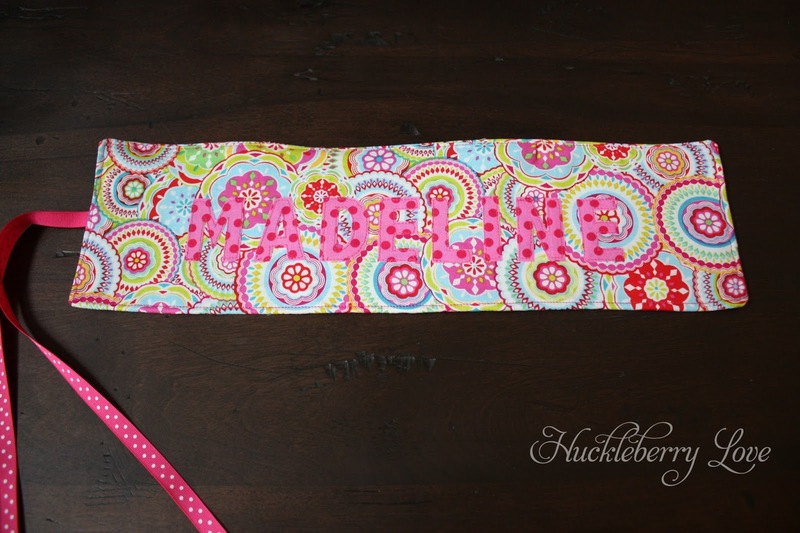 And to make sure she knew it was made just for her, I put her name on the back. I just used my silhouette to cut heat n' bond and coordinating fabric. I love how it turned out! 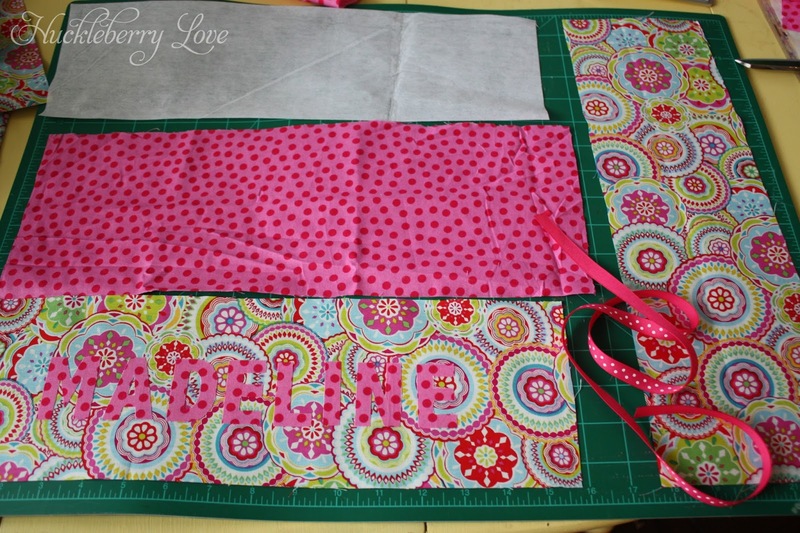 First, I started out with 2 cuts of my main fabric and 1 cut of fusible interfacing sized to 5" by 16.5", and one cut of coordinating fabric 6" by 16.5". For the closure, I just used a scrap piece of ribbon 25" long. I started by ironing the interfacing onto the back of the inside piece of main fabric. 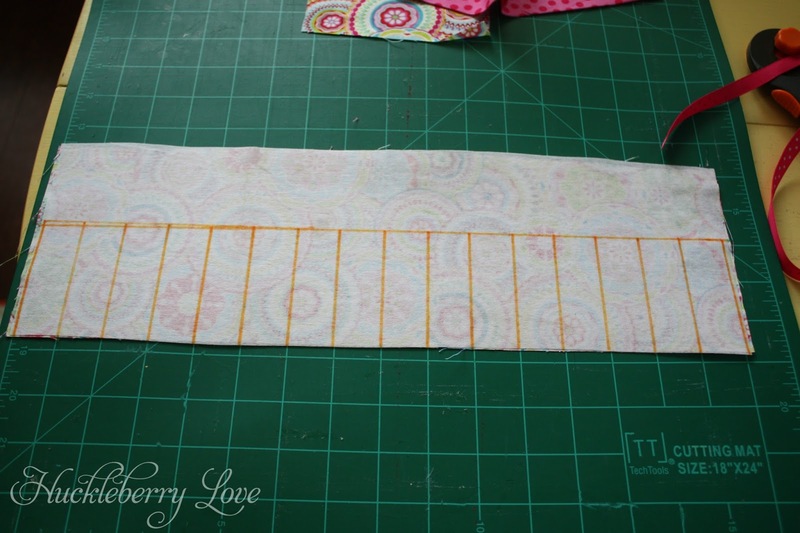 I drew a line at 3" across the length of the fabric. This will serve as a reminder to stop sewing and backstitch for the pockets, so they are all even. Then, I made lines every one inch, starting a half inch from the edge to account for seam allowance. 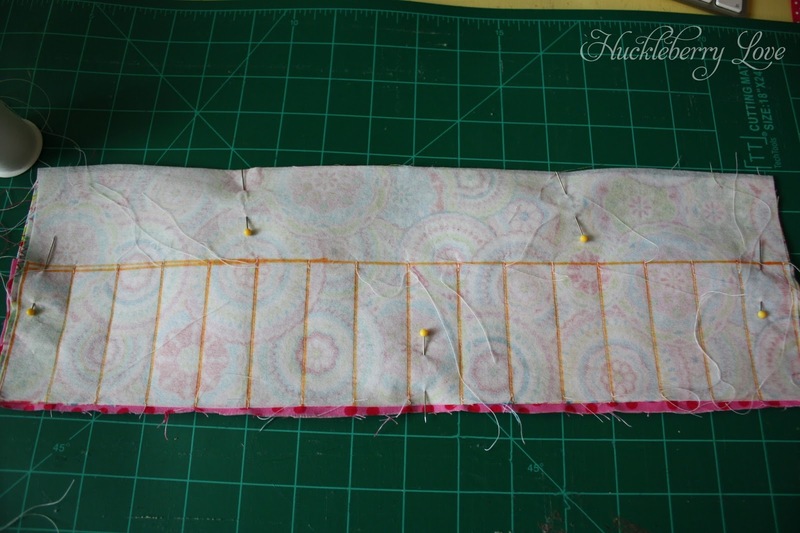 Next, I ironed the coordinating fabric in half (think hot-dog), and pinned it to the fabric backed with interfacing so that all raw edges were lined up along the bottom and sides. The bottom I'm referring to is the edge that the lines originate from. Totally didn't grab a picture of this step! 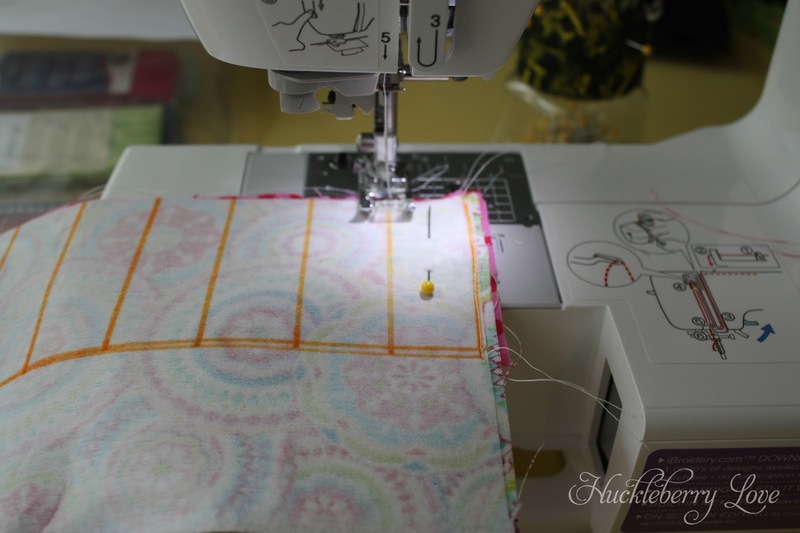 Once it was securely pinned in place, I sewed on each of the vertical lines, making sure to backstitch at the horizontal line. Once all of the pockets were sewn, I folded the ribbon closure in half and pinned the fold along the short edge on the right side of the main fabric. 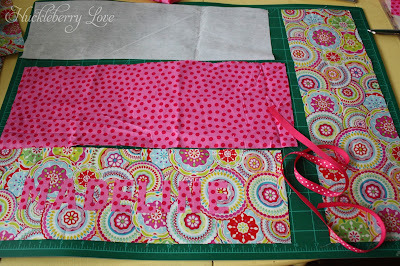 Then, I sandwiched the fabric (right sides together-pockets inside) and pinned. 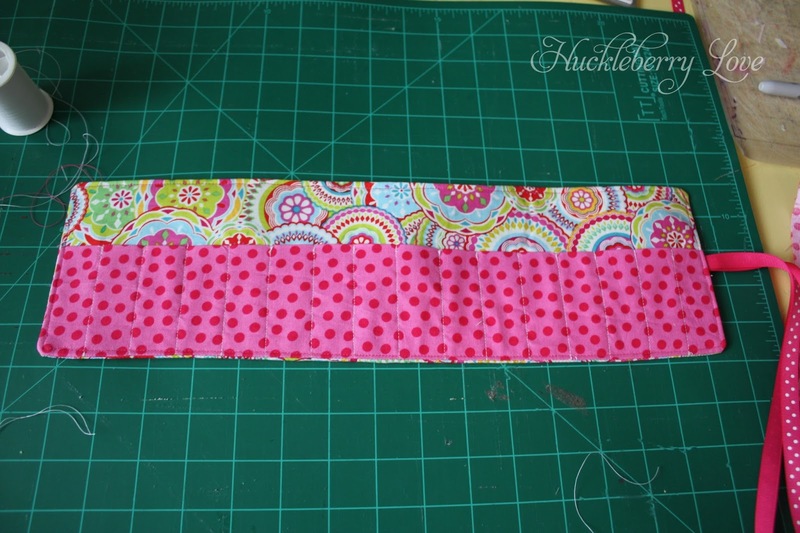 To make sure the ribbon didn't get caught in the stitches, I pinned it along the main fabric. 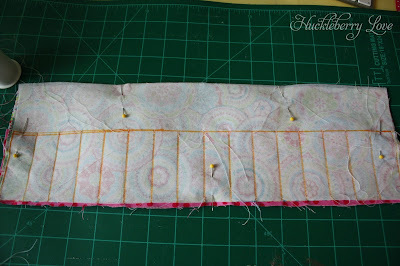 So the fabric sandwich was main fabric (back) right side in, ribbon, and pocket piece with main fabric (front) right side in. After I was happy with the closure placement, I stitched around all edges, leaving a small opening to turn it right side out. Last, I turned everything right side out, ironed the opening so that my edges lined up nicely, and topstitched around the entire edge. 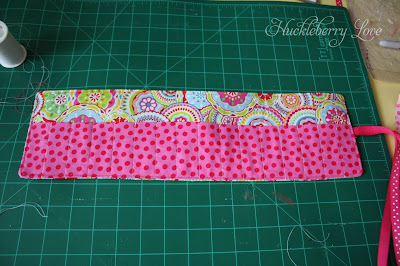 To finish off the ribbon, I used a little bit of fray check. Voila! I added a coloring book, sticker book, and some fun art supplies to go with her crayon roll gift. I'm proud to report that she absolutely loved everything, especially the crayon roll. I hope she gets as much use as we've gotten from ours. Now go, make one for your budding artist! 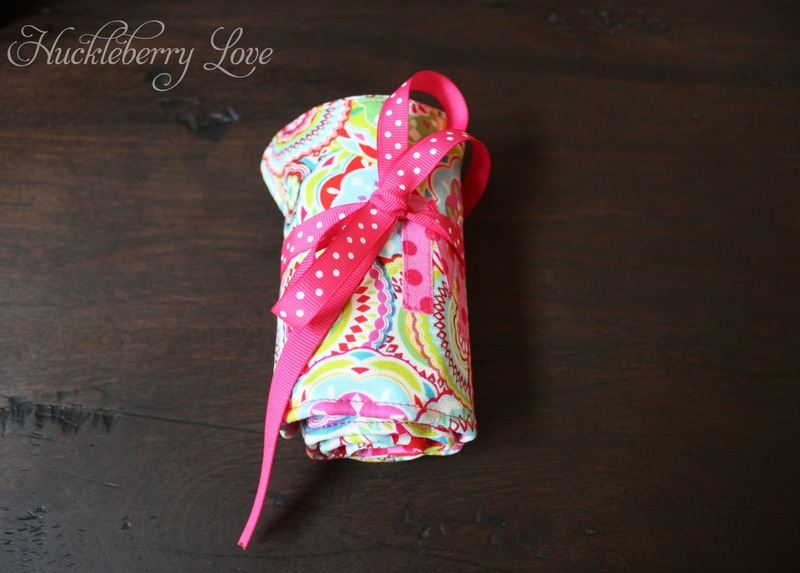 It's a perfect nap-time project!